Bon, it’s official: I converted from being a total opponent of the maxi skirt length (don’t know how many times I prayed to my dearest coupine that I would never wear it…sorry for that!!). And now I TOTALLY love this trend. How to best wear the maxi length?? Turn to style princess Olivia herself…she is THE proof that even (or especially) petite girls can rock this trend!! Follow Olivia’s lead and style the maxi skirt/dress with a belt, leather jacket or fur and a hat for a laidback, yet polished style! 2. Maje wedge Galoche en noir. 5. Maje black suede leather jacket Exit. 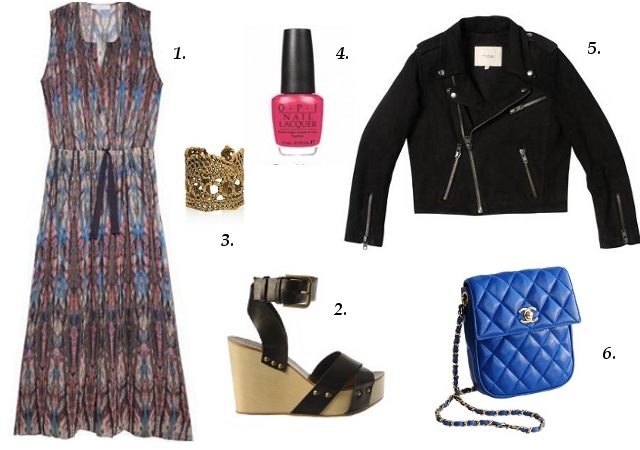 For more inspiration on how to wear/shop the maxi length, check out Mireia’s blog! !